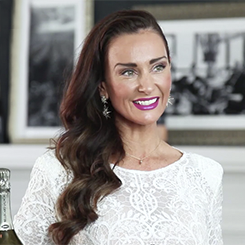 Kyla Kirkpatrick owns her own consultancy and education business, The Champagne Dame. Kyla’s love for Champagne grew after reading a series of books about Napoléon Bonaparte and his friendship with Jean Remy Moët. Deciding to write a letter to the book’s author, Kyla was quite surprised when she got a reply inviting her to Paris to study the art of Champagne. She said yes of course! Purchasing a one-way ticket to Paris Kyla gave up her career in finance, her long-term partner, her dog and her home in Australia. 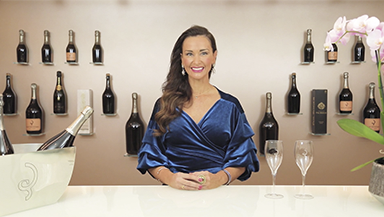 After studying, taste testing, attending grand soirees and more, Kyla is now considered one of the top educators in Champagne. As part of her consultancy business, Kyla conducts Champagne events, tours and leads keynote speeches. She also works with some of the top Champagne makers in the world including Ruinart, Krug, and Bollinger. In 2017 Kyla went on to launch her own hub for Champagne in Australia, Emperor Champagne. Emperor is an online e-commerce destination that offers an expertly curated collection of champagne helping expand the local champagne market.